Draft: 2004, Boston Red Sox, 2nd rd. Full name is Dustin Luis Pedroia. Signed by Dan Madsen (Red Sox). Married to Kelli...The couple has 3 sons: Dylan, Cole, and Brooks. Attended Arizona State University, where he was a 3-time First-Team All-Pac 10 selection, the 2003 Pac-10 Co-Player of the Year, and the 2003 National Defensive Player of the Year...Played in all 185 Sun Devils games over his 3 seasons in Tempe. Is a 2001 graduate of Woodland (CA) High School... Hit .445 as a senior to capture league MVP honors. Named to the 2013 class of the Arizona Fall League Hall of Fame. In 2014, became a charter member of the Taylor Hooton Foundation's "Advisory Board" of active major leaguers...The Hooton Foundation is a leader in the advocacy against the use of performance- and appearance-enhancing drugs by the youth of America. Appeared in only 3 ML games and 5 rehab games due to a pair of stints on the disabled list. Began the season on the 10-day DL recovering from left knee surgery performed on 10/25/17. Snapped a streak of 11 consecutive Opening Day starts at 2B (2007-17)...In the 11 seasons prior to 2007 (1996-2006), the Sox had 10 different players start at 2B on Opening Day. Played in 5 rehab games for Triple-A Pawtucket from 5/14-24, making 4 starts at 2B and 1 at DH. Reinstated from the DL on 5/25 and appeared in 3 games for BOS (5/26-27 vs. ATL, 5/29 vs. TOR). Returned to the DL on 6/2 (retro to 5/30) with left knee inflammation and missed the remainder of the season. Transferred to the 60-day DL on 8/4. 2017: Appeared in 105 games in his 12th season with the Red Sox...Hit .293 (119-for-406) with a .369 OBP and more BB (49) than SO (48)...Missed 38 games due to 3 DL stints, 1 with a left wrist sprain (5/30-6/8) and 2 with left knee inflammation (7/29-8/7 and 8/9-31). Named a finalist for the Rawlings AL Gold Glove Award at 2B. According to FanGraphs, ranked 3rd among ML 2nd basemen in defensive runs above average (7.5), which measures overall defensive value. Set a Red Sox record for consecutive errorless games as a 2B (114), breaking his own previous mark of 98 games. Hit .344 vs. LHP (21-for-61), .332 at home (68-for-205), .330 with RISP (35-for-106), .365 with RISP & 2 outs (19-for-52), and .545 with the bases loaded (6-for-11). Each of his first 77 starts of the season was made at 2B...Of his final 26 starts, 20 came at 2B and 6 at DH. Made his 11th consecutive Opening Day start at 2B. Hit safely in each of the Sox' first 8 games, the longest season-opening hit streak of his career (previous: 6 in 2014)...It was the longest season-opening hit streak by a Red Sox player since J.D. Drew in 2007 (9 games). Recorded at least 1 XBH in 7 straight games from 5/4-11, tied with Mitch Moreland for the longest such streak by a Red Sox player in 2017. Removed from the game on 5/29 at CWS after colliding with 1B José Abreu while running the bases in the 1st inning...Placed on the 10-day DL on 5/30 with a left wrist sprain (reinstated on 6/9). Broke a 5-5 tie with an RBI single in the 11th inning of the Sox' 6-5 win vs. PHI on 6/12, his 2nd career walk-off RBI (also 6/19/10 vs. LAD)...According to Elias, that was the longest time between walk-off RBI for a Red Sox player since Mike Greenwell from 4/18/88-6/2/95. Recorded 5 consecutive multi-hit games from 6/10-14, tied for the longest streak of his career. On 6/15 at PHI, struck out twice for the 1st time since 7/31/16...Had gone 104 games between multiple-strikeout performances, the longest streak by a Red Sox player since Wade Boggs in 1992 (105 G). In his final 13 games before the All-Star break (6/26-7/9), recorded 16 RBI with a .377/.476/.547 line (20-for-53). Ranked 2nd in the AL and 4th in the majors with 25 RBI in July (23 G), his most RBI in any calendar month of his career (previous: 22 in July 2011). Hit safely in his first 8 games out of the All-Star break, going 14-for-34 (.412) with 2 HR and only 1 SO in that time...Was 7-for-9 with RISP during that stretch. In a 5-4, 15-inning win vs. TOR on 7/18, homered in the 6th inning, tied the game with an RBI double in the 7th, fielded 10 chances at 2B, and was part of 4 double plays. Placed on the 10-day DL on 8/1 (retro to 7/29) with left knee inflammation...At the time he went on the DL on 8/1, led the Red Sox in AVG (.307) and OBP (.381). Reinstated on 8/8 and started at DH that day at TB, but returned to the DL on 8/12 (retro to 8/9), again with left knee inflammation. Reinstated from the DL on 9/1 and played in 19 of the Sox' remaining 28 games. Played in his 1,500th ML game on 9/24 at CIN...Became the 11th player to reach that total with BOS...POSTSEASON: Started at 2B in each of the Red Sox' 4 ALDS games vs. HOU. Following the season, underwent a successful cartilage restoration procedure on his left knee on 10/25...The procedure was performed by Dr. Riley Williams III at the Hospital for Special Surgery in New York, NY. Won the Wilson Defensive Player of the Year Award and the Fielding Bible Award as the majors' top 2B...Was also a Rawlings Gold Glove Award finalist. According to FanGraphs, his 12 defensive runs saved ranked T-1st among ML 2nd basemen (also Ian Kinsler)... Ranked 2nd among AL 2nd basemen (4th in MLB) with a .990 fielding percentage. Ranked 3rd in the AL and 8th in the majors with a .318 AVG, the 2nd-highest mark of his career (.326 in 2008). Ranked 4th in MLB with 201 hits, the 2nd-highest single-season total of his career (213 in 2008)...Joined Wade Boggs (7), Jim Rice (4), Johnny Pesky (3), and Mo Vaughn (2) as the only Red Sox with multiple seasons of 200+ hits. Scored 105 runs, his most in a season since 2009 (115). Became the 1st Red Sox ever with as many as 6 hitting streaks of 10+ games in a single season (source: Elias)...Was the 1st major leaguer to do that since Derek Jeter in 1999 (also 6). Was 1 of 4 players with multiple 5-hit games (also Jean Segura, Yunel Escobar, and Kris Bryant, 2 each)...With his 5th career 5-hit game on 8/14 vs. ARI, set a Red Sox record for most games with 5+ hits in a career (source: Elias). Recorded 30+ hits in April (32), May (32), June (30), July (31), August (41), and September (35)...The only other player with 30+ hits in each of those calendar months was Jean Segura. Hit .362 (72-for-199) out of the leadoff spot, the highest mark in the majors. Batted above .300 vs. LHP (.305), vs. RHP (.320), at home (.334), on the road (.301), in day games (.308), in night games (.322), with RISP (.325), with 0 outs (.345), with 1 out (.301), with 2 outs (.302), vs. AL teams (.312), vs. NL teams (.361), before the All-Star break (.304), and after the All-Star break (.335). Made his 10th Opening Day start for BOS, all at 2B (2007-16)...Went 0-for-4 with a BB on 4/5 at CLE, snapping a 9-year streak of recording at least 1 hit on Opening Day...Was the only Red Sox player since 1913 to hit safely in each of his first 9 career Opening Day games, all in consecutive years. Was part of 5 double plays on 4/18 vs. TOR, tying the Red Sox record for most DP turned by a 2B in a 9-inning game (also Bobby Doerr, 8/8/46-g2 vs. PHI). Went 0-for-4 on 4/19 vs. TB, snapping a 48-game on-base streak vs. the AL East (began 4/24/15)...According to Elias, it is the 2nd-longest on-base streak ever by a Red Sox against AL East clubs, trailing only Wade Boggs' 61-game streak from 9/15/84- 8/27/85 (divisional play began in 1969). Went 3-for-5 on 4/21 vs. TB, with his 6th-inning double giving him 1,500 career hits...Became only the 10th player in Red Sox history to record as many as 1,500 hits with the club. Recorded his 7th career multi-homer game on 4/27 vs. ATL... Was his 4th multi-homer game since the start of 2015, after recording only 3 in his first 9 seasons (2006-14). On 5/4 at CWS, was in the starting lineup as the cleanup hitter for the 1st time in exactly 4 years (5/4/12 vs. BAL). Hit .388 (26-for-67) with a 1.013 OPS during a season-best 16-game hitting streak from 5/24-6/10. Reached base in 34 consecutive games from 6/21-7/31, batting .307 with an .855 OPS (42-for-137, 5 2B, 5 HR, 22 BB, 18 SO)...It was the 2nd-longest on-base streak of his career (37 in 2011) and tied with Robinson Cano for the longest such streak by an AL player in 2016. Was 1 of 5 players on the ballot for the Esurance MLB All-Star Game Final Vote. Batted .506 (42-for-83) with a 1.228 OPS during a 19-game hitting streak at Fenway from 7/21-9/13...Hit .423 (60-for-142) during a 33-game home on-base streak from 6/21-9/13. Recorded his 4th career 5-hit game on 7/21 vs. MIN (5-for-5), tying a Red Sox record. Turned a 3-1 deficit into a 4-3 lead on 7/31 at LAA with a 3-run HR off Huston Street in the 9th inning...His only other go-ahead homer in the 9th inning or later came on 6/24/10 at COL, also against Street (10th inning)...Prior to 7/31, the last Red Sox player to hit a 2-out HR that turned a deficit into a lead in the 9th inning or later on the road was Adrian Beltre on 6/10/10 at CLE (took 7-6 lead after trailing, 6-5). Had MLB's highest AVG in August (.406, 41-for-101) among players with 100+ AB, drawing 7 BB against only 6 SO...It marked the 3rd time in his career he batted .400+ in a calendar month (.411 in July 2011, .415 in May 2007). Moved to the leadoff position on 8/10 vs. NYY and batted only in that spot for the remainder of the season. Had 4+ hits in 3 straight home games from 8/14-27, the longest such streak ever by a Red Sox at Fenway (source: Elias)...Since 1940, the only other player with 4+ hits in 3 straight home games is Rafael Furcal (5/13-15/07 w/LAD). Recorded his 5th career 5-hit game on 8/14 vs. ARI (5-for-6), setting a Red Sox record. Recorded multiple hits in 14 of 17 games from 8/24-9/13, batting .514 (37-for-72) in that span. Beginning in the 3rd inning on 8/25 at TB, reached base in 12 consecutive PA until hitting into a double play in the 8th inning on 8/27 vs. KC (1B, 1B, 1B, 1B, 1B, BB, 1B, 1B, 1B, 2B, 1B, 1B)...According to Trent McCotter of SABR, Pedroia became only the 8th player ever to record a hit in 11 straight AB, falling 1 shy of the MLB record (12, 3 times)...The only other Red Sox with streaks of 11+ at-bats with a hit are Johnny Pesky (11, May 1946) and Pinky Higgins (12, June 1938)...The last Red Sox to reach base in 12+ consecutive PA was Kevin Youkilis in 2009 (13). Recorded 3+ hits in 3 straight games from 8/25-27, tied for the longest such streak of his career (3rd time) and tied for the longest by any major leaguer in 2016. Hit .714 (15-for-21) from 8/25-31, the highest mark for any player over a 5-game span (min. 20 AB) since May 2008, when Lance Berkman had 16 hits in 20 AB (.800) over 5 games for HOU (source: Elias). In the Sox' 6-4 win at TB on 9/24, snapped an 0-for-17 skid with a 6th-inning single and gave the Sox a 6-3 lead with a 2-out, 2-strike grand slam in the 7th...Was his 2nd grand slam of 2016-and 1st career go-ahead grand slam-after he hit 2 in his first 10 seasons (2006-15)...Also homered the next day at TB. Went 0-for-4 with a BB on 10/1 vs. TOR, snapping a 30-game hitting streak vs. the Blue Jays...It is the longest hitting streak for any player against the Jays in the franchise's history (1977-present)...According to Elias, the only other Red Sox with a hitting streak of 30+ games against a single team are Ted Williams (30 games vs. WSH) and Jacoby Ellsbury (38 games vs. BAL). POSTSEASON: Started each of the Red Sox' 3 ALDS games at 2B...Reached base via hit or BB in all 3 games. Limited to 93 games due to a pair of stints on the DL...Went 1-for-22 in 6 games between DL stints from 7/17-22, but hit .306 (110-for-359) in his other 87 games. Named the Red Sox 2015 Heart and Hustle Award Winner, his 6th straight year receiving the honor. Ranked 2nd in the AL and 3rd in the majors with a .348 AVG at home (56-for-161)...Hit safely in 20 consecutive home games from 5/21-9/21, the 2nd-longest home hitting streak by a major leaguer in 2015 (Jason Kipnis, 29 home games). Led the AL and ranked 2nd in MLB with a .368 AVG in day games (43-for-117), trailing MIA's Dee Gordon (.386). Reached base in each of his final 39 games against the AL East beginning on 4/24 (.313/.390/.469, 50- for-160, 20 BB, 8 2B, 3B, 5 HR)...Was the longest single-season on-base streak within the division for a Red Sox player since Wade Boggs reached safely in 45 consecutive games against the AL East from 4/8-8/27/85. Hit .355 (11-for-31) in 8 games against the NL. Batted .361 (39-for-108) with 2 outs, 2nd-highest in the AL and 4th-highest in the majors (min. 50 AB). Posted a .986 fielding percentage (443 TC, 6 E), his lowest mark at 2B since his ML debut in 2006 (.975). Recorded 3 multi-HR games (4/6 at PHI, 5/27 at MIN, 9/16 at BAL), matching his previous career total entering the season. Joined Hanley Ramirez (also 2 HR) as the 1st Red Sox to hit 2 HR on Opening Day since Carlton Fisk in 1973...Became only the second 2B in MLB history with a multi-homer game on Opening Day (also ARI's Felipe Lopez in 2009). Hit 5 HR in his first 23 games of the season...Hit his 7th HR of 2015 in his 46th game, matching his homer total from 2014...Entered June with 7 HR for the 2nd time in his career (8 HR before 6/1 in 2010). Reached base in a season-best 23 consecutive games from 4/24-5/19 (.299 AVG, 26-for-87, 14 BB, .392 OBP). Recorded season-high 10-game hit streaks from 5/21-30 (.390, 16-for-41) and 7/22-9/21 (.391, 18-for-46). Batted leadoff in 24 consecutive games from 5/23-6/17...In that time, shared the AL lead in hits with OAK's Billy Burns (35) and ranked 4th in AVG (.350). Brought his career hit total to 1,455 on 6/21 at KC, passing Frank Malzone (1,454) for 10th place on the Red Sox' all-time list. Placed on the 15-day DL on 6/25 with a right hamstring strain...Activated from the DL on 7/17, but went 1-for-22 in 6 games before returning to the DL on 7/25 (retro to 7/23) with the same injury. Returned from the DL on 9/8 and played in 18 of the team's 25 remaining games, batting .308 (24-for-78) with a .386 OBP and .500 SLG...Went 2-for-4 with 2 HR and 5 RBI on 9/16 at BAL. Did not land on the DL but was limited to 135 games, his 2nd fewest in a season since becoming a regular in 2007 (75 G in 2010)...Last played on 9/8 vs. BAL...Underwent successful left thumb and wrist surgery (first dorsal compartment release and a tenosynovectomy of his left wrist) on 9/11, ending his season...Procedure was performed by Dr. Matt Leibman at Newton-Wellesley Surgery Center in Wellesley, MA...Led the Sox with 153 hits, 45 multi-hit games, and 11 games with 3+ hits...Topped club qualifiers with a .278 AVG...Named Red Sox Heart and Hustle Award Winner, his 5th straight year receiving the team award...Appeared in 131 of Boston's first 135 games through 8/30 (129 starts)...Missed Boston's next 5 games, but started 4 more from 9/5-8 before being shut down...Won the 2014 AL Rawlings Gold Glove Award at 2B and tabbed as the best defensive 2B in the AL in Baseball America's annual Best Tools survey...Committed a single-season career-low 2 errors...Posted a career-best and MLB-leading .997 fielding pct. at 2B (654 chances), the best-ever mark by a Red Sox 2B (prev. Mark Loretta in 2006, .994)...Batted .288 (115-for-399) against right-handed pitchers, his best mark since 2010 (.304)...Made his 8th career Opening Day start on 3/31 at BAL and went 2-for-5...Is the only Red Sox player in the last 100 years to hit safely in each of his first 8 career Opening Day games (.394, 13-for-33)...Notched a season-high 4 hits on 4/2 at BAL (4-for-5, 2 R)...His 2nd 2B of the game on 5/6 was the 300th of his career...Became the 7th-fastest major leaguer ever to reach the mark, doing so in his 1,048th career game...With 121 career SB at the time, became the fastest player in modern major league history (since 1900) to both 100 SB and 300 2B...Hit his 100th career HR on 5/2 vs. OAK, a grand slam in the 6th inning off Ryan Cook that also pushed him to the 500-RBI plateau...Became the 3rd Red Sox to hit a grand slam for his 100th career HR, along with Mo Vaughn on 8/3/95 at DET and David Ortiz on 5/28/04 vs. SEA (Source: Elias)...Batted .331 (52-for-157) in 39 games from 6/28-8/14, 7th best in the AL in that time...Committed an error in the 1st game of a doubleheader on 7/5 vs. BAL, snapping a 61-game (301 chances) errorless stretch that began on 4/24 vs. NYY...Hit .302 (45-for-149) with 7 2B, 3 HR, and 16 RBI in his last 36 games beginning 7/25...Had multiple hits in 16 of those first 30 games through 8/27 (.328, 42-for-128)...Stole 2nd and 3rd base on the same play on 8/9 at LAA in the 14th inning when the Angels didn't cover 3rd...Hit .297 (33-for-111) with 3 HR in August, his best marks in any month of the season...Homered in back-to-back games on 8/25-26 at TOR...In the 2nd of those games, had a season-high-tying 4 RBI (also 5/2 vs. OAK). In 4th All-Star season, played in a career-high 160 games (T-3rd in AL), with all 160 at 2B, including 159 starts…Both led MLB at the position and set Red Sox records for a 2B (prev. Pedroia's 159 games and 158 starts in 2011). Named MLBPAA's Heart and Hustle Award winner in his 4th consecutive season as the Red Sox' nominee. T-2nd in the AL with both 193 hits, the most in MLB as a 2B, and 58 multi-hit games. Finished 3rd in the AL with 269 times on base... Reached safely in a career-high tying 137 contests (also 2008), ranking 5th among major leaguers and 3rd in the AL. Ranked 10th in the AL with a .301 AVG…T- 3rd in the AL with a team-high 42 doubles. Led the AL (2nd in MLB) with 91 hits with 2 strikes...Topped the majors with 21 hits on an 0-2 count. Drew 73 walks compared to 75 strikeouts (0.97 BB/SO) the 3rd-best ratio among AL players with at least 100 AB…Was the 7th-hardest AL batter to fan (9.7 PA per SO). Also placed among AL leaders in runs (T-8th, 91), OBP (10th, .372), walks (T-12th, 73), and atbats (3rd, 641)…Ranked 2nd in the AL with a .354 AVG vs. LHP. Hit .315 (97-for-308) at home...Played in all 81 games at Fenway Park, reaching base safely in 68 of those contests. Posted a .338 AVG/.379 OBP/.506 SLG in 20 games vs. NL teams. Started at 2B in each of BOS' first 70 games from 4/1-6/15 before 1st off-day 6/17...Was the 1st Red Sox to do that since Marty Barrett in 1986 (started 1st 99 G at 2B)...Did not miss another game until sitting out the regular season finale on 9/29 at BAL...Only appearance as a sub was as a pinch-hitter on 9/21 vs. TOR. Earned his 3rd career Rawlings Gold Glove Award…Also named Wilson's AL Defensive Player of the Year…Ranked 2nd among AL qualifiers at 2B with a .993 fielding percentage (5 E/688 chances), barely trailing TB's Ben Zobrist, .9927 to .9928...Was the best ever single-season mark by a Red Sox 2B with at least 650 chances and the 2nd-best by a Red Sox 2B overall after Mark Loretta in 2006 (.994, 639 chances)…Led the AL in zone rating at the position (.836). Made 1st error of 2013 in his 70th game on 6/15 at BAL after club-record 69 errorless games at 2B to begin the year...Was the longest streak by a Red Sox 2B at any point in a season since Bobby Doerr's club-record 73-gamer in 1948…Snapped 97 errorless games overall dating back to 8/30/12, 1 shy of Pedroia's club-record for a 2B (98 G, 7/30/09-5/19/10). Led the Red Sox with 21 go-ahead RBI (T-10th in the AL) and tied for the team lead with 12 game-winning RBI (T-10th in the AL). On 7/24 signed an 8-year contract w/ the Red Sox beginning in 2014 and continuing through the 2021 season. Hit safely in 10 of 11 games as batting leadoff, all from 9/10-22 (.327, 16-for-49, 8 R), his 1st games in the No. 1 slot since 2009...Knocked 3rd career leadoff homer on 9/17 vs. BAL, his 1st since 10/3/09. On 4/1 at NYY, made 7th straight Opening Day start for BOS at 2B, passing Marty Barrett (6) for 2nd in club history at the position (Bobby Doerr, 13). Was the 1st Red Sox to reach safely in the club's first 18 games of a season since Manny Ramirez in 2001 (first 23 games)…Was BOS' first 2B to do it since Mike McNally in 1920 (First 18 G)...The 18-game run was his longest season-opening on-base streak (.313, 21-for-67, 14 BB). Hit a go-ahead solo homer in the 8th inning on 5/6 vs. MIN...Was his 1st HR since 9/11/12 vs. NYY, ending a career-long 48-game homerless drought. Had 5 straight multi-hit games from 5/8-12 (.571 AVG, 12-for-21)…Ranked 6th in the AL with a .325 AVG (81-for- 249) from 5/8 until the All-Star break, with 14 go-ahead RBI in that time (T-2nd in the AL). Reached safely in season-high 22 consecutive games from 5/22-6/13 (.306, 26-for-85, 11 BB, HBP), his longest single-season on-base streak since a career-high 37-gamer, 6/15-7/28/11. Went 0-for-2 in the All-Star Game on 7/16 at Citi Field after entering as a pinch-runner in the 1st inning. Ended an 0-for-16 slide with a 2-run homer off SEA's Joe Saunders in the 2nd inning on 7/30. Played in his 1,000th career ML game on 9/8 at NYY, becoming the 29th player to reach the mark with the Red Sox. Hit in 13 of his last 16 games of the season at .338 (23-for-68)...Ended his season with back-to-back 3-hit games, 9/27-28 at BAL. Underwent successful surgery to repair the ulnar collateral ligament in his left thumb on 11/13…Was performed by Dr. Donald Sheridan in Scottsdale, AZ. Named Red Sox MVP by the Boston Baseball Writers...Topped the club in games (141),at-bats (563), hits (163), doubles (39), multi-hit games (47), total bases (229), extra-base hits(tied, 57), and stolen bases (20), and also Sox qualifiers in OBP (.347).Tied for 8th in the AL in doubles...Was the 3rd-hardest AL qualifier to strike out, fanning once every 10.4 plate appearances (60 SO/623 PA).Among primary 2nd basemen in the AL, ranked 2nd in AVG (.290), OBP, SLG (.449), and OPS (.797), trailingonly NYY's Robinson Cano in each category...Finished 2nd in the AL in hits (159) and doubles (tied, 38) as a 2ndbaseman and was 3rd in the AL in extra-base hits (56) and total bases (248) at the position.Was his 4th career 20-SB season, the most for a Red Sox player in the live ball era (since 1920)...MatchedTEX's Ian Kinsler for the 2nd-most thefts in the AL as a 2nd baseman after CLE's Jason Kipnis (31).Was his 4th career season with at least 15 home runs and 15 stolen bases, passing Reggie Smith and JackieJensen (3 each) for the most in franchise history...Is the 1st Sox 2nd baseman to reach double digits in homersin 5 consecutive seasons since Bobby Doerr did it in 6 straight campaigns from 1946-51.Was his 5th straight double-digit homer season...The only other Red Sox 2nd baseman with as many 10+homer campaigns is Bobby Doerr, who did it 12 times (1939-44, 1946-51).Batted .305 (50-for-164) with an .848 OPS against left-handed pitching, including a .338 AVG and .929 OPSoff southpaws beginning 5/2 and .411/1.156 from 7/25 through the end of the year.Hit .325 (40-for-123) against the AL West, the 5th-best mark in the majors (min. 125 PA)...Also went 14-for-31(.452) in 8 games against the Indians.Batted .324 (33-for-102) when leading off an inning...Combined to bat .329 (48-for-146) in the 1st and 2ndinning overall...Hit .339 in the 6th inning or later (76-for-224).Missed 6 games after leaving 5/28 vs. DET due to a jammed right thumb...Hit .210 (22-for-105) in his next 26games before landing on the 15-day DL on 7/6 (retro to 7/4) with a right thumb sprain.Following 7/19 activation from DL, ranked 8th in AL with 82 hits, accumulating a .318/.372/.508 line over theduration of the season...Started 67 of BOS's last 70 tilts beginning 7/19, including all 51 contests through 9/12.Reached base safely in all but 5 of his last 55 tilts dating backto 8/1 (70-for-212, .330, 21 BB, 2 HBP).Hit safely in 42 of his last 51 games beginning 8/5, tying forthe major league lead with 20 doubles in that time (also LAA'sAlbert Pujols)...Beginning on 8/5, also ranked among AL leaders in AVG (5th, .340), OBP (4th, .400), SLG (7th, .543), OPS(5th, .943) and extra-base hits (5th, 27)...No other qualifyingmiddle infielder in the AL (min. 165 PA) had a better OBP, SLG, OPS, or more extra-base hits in that time...Tallied a season-high 18-game on-base streak from 4/29-5/17...Also had 17-game on-base streaks from 8/1-18 and 8/21-9/7...The only other AL players with as many on-base streaks of at least 17 games in 2012 wereDET's Prince Fielder, NYY's Derek Jeter and MIN's Justin Morneau (3 each).Notched season-high 15-game hit streak from 8/21-9/4, batting .393 (24-for-61) with 7 doubles, 2 homersand 8 RBI...Also posted a 14-game hit streak 4/29-5/13 (.350, 21-for-60, 2 HR, 11 RBI) and a 13-gamer 8/5-18(.404, 21-for-52, HR, 8 RBI)...Was his 1st ever campaign with at least 3 hit streaks of at least 12 games.Hit safely in 19 of his last 21 home games dating back to 8/5 at a .384 clip (33-for-86)...Homered 5 times ina span of 9 home games from 8/23-9/11, including in back-to-back tilts from 9/9-11.Recorded his 1,000th career hit with a 1st-inning double on 9/3 at SEA in his 833rd game...Was the 7thfewest major league games for a Red Sox player to reach the 1,000-hit plateau after only Nomar Garciaparra(746), Wade Boggs (747), Johnny Pesky (774), Tris Speaker (803), Ted Williams (814), and Jim Rice (827).Stole 2 bases 9/26 vs. TB to reach 100 in his career and pass Jerry Remy (98) for the most ever for a Red Sox2nd baseman...Became the 1st Red Sox to reach 1,000 hits and 100 SB within his 1st 7 ML campaigns and,at 29 years old, the youngest Red Sox player when reaching those marks during the live ball era (since 1920).Became the 1st Red Sox player ever to reach 1,000 hits and 100 SB within his 1st 7 ML campaigns...The onlyother AL 2nd basemen to reach those marks in their 1st 7 seasons are Del Pratt (1912-18), Chuck Knoblauch(1991-97) and Ray Durham (1995-2001)...Also became the youngest Red Sox to record 1,000 hits and 100stolen bases in the live ball era (since 1920).Led AL qualifiers with a career-best .992 fielding percentage in 139 games/starts at 2nd base (5 E/625 TC), the 3rd-best single-season mark by a Red Sox 2nd baseman after Mark Loretta in 2006 (.994) and Bobby Doerrin 1948 (.993)...Ranked 2nd in the AL in zone rating (.834) at the position...Was a finalist for Rawlings' AL Gold Glove at 2nd base and was the Red Sox representative as the team's Wilson Defensive Player of the Year.Went a single-season career-high 65 consecutive errorless games from 4/21-7/22, the longest streak by a RedSox 2nd baseman in a season since Bobby Doerr in 1948 (73 G, 6/24-9/19), according to STATS.Knocked a 1-out single in the 7th inning on 4/29 at CWS to break up Gavin Floyd's no-hit bid.Collected 3 walks in back-to-back games on 5/6 vs. BAL and 5/7 at KC to tie a single-game career high for 7thand 8th times...Became the 1st Red Sox middle infielder to draw at least 3 walks in consecutive contests since Pete Runnels from 8/14-15/59.Hit a game-tying solo homer in the 8th inning on 7/1 at SEA, snapping a 165-AB streak without a home run,his 2nd-longest career drought (190 AB from 4/7-5/31/09)...Hit 4 homers in 15 July games, including in longballs in back-to-back games from 7/25-27.Hit safely in 26 of 29 games in August at .342 (40-for-117)...Tied for the ML lead with 12 doubles in August, matching a single-month career high (also September 2008), including a single-game career-high-tying 3doubles on 8/6 vs. TEX (3rd time)...Also ranked among AL August leaders in hits (T-2nd), doubles (1st in ML, 12),extra-base hits (T-3rd, 16), and runs (T-4th, 22).Tied career high with 3 doubles on 8/6 vs. TEX (3rd time, 1st since 4/9/11 vs. NYY).Collected season-high 4 hits and 5 RBI, including a double and a homer, in a 10-inning loss to LAA on 8/23...5RBI matched a career high for the 5th time, 1st since 9/13/11 vs. TOR.Was ejected in the 9th inning by 1st base umpire Paul Nauert on 8/7/12 vs. TEX...It was his 2nd career ejection, also 8/19/08 at BAL. Set career highs with 159 games, 3 triples, 21 homers, 91 RBI, 86 walks, 26 stolen basesand a .387 OBP...Became 7th Red Sox to record 20 homers and 20 steals in a single season(2nd in 2011, also Jacoby Ellsbury), the 8th time it had been done in club history...Joined Ellsbury as the only set of Sox teammates to post 20 HR/20 SB in the same season...21 homers were 4th most in a single season by a Red Sox 2nd baseman (min. 100 games at 2nd base) toBobby Doerr's 27 in 1948 and 1950, and 22 in 1940...Is the 1st Sox 2nd baseman to reach double digits in homersin 4 consecutive seasons since Doerr did it in 6 straight campaigns from 1946-51...His 26 stolen bases marked the most by a Sox 2nd baseman since Jerry Remy's 30 in 1978...Finished 2nd in the Majors with a .358 AVG (64-for-179) against left-handed pitching, behind only Texas'Michael Young's .361 mark...Also placed among AL leaders in AVG (7th, .307), hits (6th, 195), multi-hit games(7th, 56), 3+ hit games (T-4th, 18), runs (T-8th, 102), total bases (9th, 301), times on base (4th, 282), walks (6th,86), OBP (7th, .387), games (T-4th, 159), at-bats (6th, 635) and pitches seen (2nd in ML, 3,063)...Earned 2nd career Gold Glove Award at 2nd base...Finished with a .990 fielding percentage, 2nd among qualifyingAL 2nd baseman behind only the Angels Howie Kendrick (.992)...Set single-season Red Sox records with 159games and 1,392.1 innings as a 2nd baseman, both of which led the AL, and he also topped the Majors with 158starts at the position...Also ranked among AL leaders at the position in putouts (2nd, 290), total chances (3rd, 722),assists (3rd, 425) and double plays (4th, 81)...Hit .321 (102-for-318) in 80 games at Fenway Park, the 10th-best home AVG in the AL...Notched a 25-gamehit streak at Fenway from 6/4-8/3 (.426, 43-for-101)...It was the 3rd-longest home hit streak by a Red Sox since1919, longest since Nomar Garciaparra's 31-gamer, 4/20-6/28/03...Batted .406 (28-for-69) with 13 RBI in 17 games vs. NYY, the highest mark on the team against the Yankeesand 5th-best among all Major Leaguers with at least 25 PA against NYY...Posted a career-high, 25-game hit streak from 6/29-7/28, the longest run in the AL in 2011 and longest ever bya Red Sox 2nd baseman (passed Del Pratt, 23 games, 6/23-7/14/1922)...Also tied for 11th-longest in club historyoverall...Hit .404 (44-for-109) with 9 doubles, a triple, 9 homers, 20 RBI and 27 runs, and recorded multi-hits 12times during the 25-game stretch...Tallied a career-high 37-game on-base streak from 6/15-7/28, 8 more tilts than his previous career long stretch,a 29-game run from 6/22-7/27/08...Tied for the 4th-longest streak in the Majors in 2011, and was the longest suchstretch for a Red Sox batter since Kevin Youkilis' 44-game run, 7/12-9/10/08...Also the longest for a Sox 2nd basemansince Jerry Remy reached in 37 straight tilts, 4/20-6/1/79...Batted .390 (60-for-154) over the 37 contests with14 doubles, 2 triples, 10 homers, 26 RBI, 36 runs and 23 walks, hitting safely in 36 of those tilts...Recorded career-high tying 5-game multi-hit streaks twice (4th and 5th time in his career), 7/10-18 (12-for-26, .462) and 7/30-8/3 (10-for-21, .476)...Tallied career-long 8-game extra-base hit streak, 7/7-18 (5 2B, 5 HR)...XBH streak was 1 shy of the longest such stretch by a Red Sox since 1919 (4 times, last David Ortiz, 4/19-29/04).....Since 1919, he is the 1st Sox to have such a stretch as a 2nd baseman...Started 25 games in the cleanup spot, hitting .347 (35-for-101) with 5 homers and 21 RBI in those tilts.....Homered in each of his 1st 2 starts in the 4-hole, 6/30 and 7/5...Including his previous 2 starts as the cleanup hitteron 9/2-3/08, homered in 4 straight games while starting in the slot, the 1st Red Sox batter to hit home runs in 4straight starts as the cleanup man since Manny Ramirez, 6/2-5/01...Notched a sac bunt on 8/12 at SEA, the 1st bya Boston clean-up hitter since Ellis Burks on 8/30/90 at CLE...Hit over .300 in every month after April (.255) and May (.227), hitting .340 in June, .411 in July, .303 in Augustand .304 in September...Named AL Player of the Month for July, leading the Majors with 46 hits, .411 AVG (min...84 PA), 27 runs (tied), 81 total bases and 18 extra-base hits (tied)...The 46 hits were the most for a Red Sox playerduring July of any season since 1939, when 3 future Hall of Famers each collected more: Bobby Doerr (52), TedWilliams (48) and Jimmie Foxx (47)...Tied for AL lead with 8 July homers, his most in any month and the most bya Red Sox 2nd baseman in July since 1964 (Felix Mantilla, 10)...Hit in 4 straight games to start the year, 4/1-5 (5-for-15, .333), his longest stretch to start a season...OpeningDay (4/1) at TEX marked 1st game action since 8/18/10...Tallied 3 hits in each of Boston's 1st 3 home games from 4/8-10, his 2nd-career stretch with 3 straight 3-hitgames, also 6/25-28/08...Became just the 2nd Red Sox ever with at least 3 hits in each of the club's 1st 3 homegames of a season, joining Ira Flagstad in 1926...Was also the 1st player in Sox history to have at least 3 hits and2 RBI in each of the team's 1st 2 home games of a season (3 RBI on 4/8 and 2 RBI on 4/9)...Knocked 1st homer of the season on 4/8 vs. NYY, a solo shot in the 1st...Marked 3rd straight year going deepin the Sox home opener including the club's 1st game in 2009 (vs. TB) and 2010 (vs. NYY)...Only other Red Soxplayer to do it was Fred Lynn from 1978-80 (Elias)...Tied career high with 3 doubles on 4/9 vs. NYY (2nd time, also 4/22/08 vs. LAA)...Had a career-long stretch of 17 games without an RBI from 5/3-22...Drove in 81 runs over 114 tilts after thatstretch through the end of the season...2 hits in 1st inning 5/25 at CLE, including a 2-run homer, his 1st shot since 4/15 vs. TOR...Snapped 34-gamehomerless drought, 2nd-longest of his career after 47-gamer, 4/8-5/30/09...Drew 21 walks in June, the most of any month of his career...Tied career high with 3 walks twice in 2011, 6/21 vs...SD and 8/9 at MIN, the 5th and 6th time in his career with 3 free passes...Tallied 62 errorless contests from 6/26-9/3, 11 shy of Bobby Doerr's single-season club record of 73 gamesfrom 6/23-9/19/48...Hit 6 homers in 8 games, 7/5-16...Bobby Doerr is the only other Red Sox 2nd baseman ever to hit 6 homers in an8-game span (1948 and 1950)...Went deep in 3 straight tilts, 7/10-16, his 1st time with a homer in 3 consecutivegames in a single season in his career and the 1st Red Sox 2nd baseman to do it since Felix Mantilla from 9/18-20/64...Drove in the game-winning run in the top of the 16th on 7/17 at TB, with a single scoring Josh Reddick...Notched 3 of Boston's 5 hits in the 1-0 victory...Hit 200th career double 9/3 vs. TEX in his 691st ML game...Since 1919, the only other Red Sox to reach the markthat quickly was Nomar Garciaparra (665th game)...Hit safely in each of his last 11 games of the season from 9/18-28, tied for his 2nd-longest stretch of 2011 (also6/15-26) behind his career-high 25-game run...Hit .426 (20-for-47) over the 11 contests with 8 RBI and 7 runs...Went 4-for-5 with 2 doubles, 2 homers, 5 RBI and 4 runs in an 18-6 win vs. TOR on 9/13...Marked his 3rd-careermulti-homer game, his 1st since hitting 3 roundtrippers on 6/24/10 at COL...Tied career highs for RBI (4th time)and extra-base hits (3rd time), and had season-high 4 runs, all last achieved on 6/24/10 at COL...His 4 hits also tieda season high (also7/26 vs. KC)...Underwent surgery on 9/30 to remove a screw from his left foot that had been inserted during a surgicalprocedure on 9/3/10. Limited to 75 games due to a fractured left foot, suffered in June.Hit 6 home runs in April, the most ever by a Sox second baseman...The previous mark was 4 homers by TimNaehring (1994), Mike Andrews (1969) and Bobby Doerr (1941).Overall, ranked among June AL leaders in slugging (4th, .626), batting (5th, .374), on-base percentage (5th,.449), extra-base hits (5th, 14), doubles (T-6th, 9) and runs (T-8th, 19).Doubled in 7 straight home games from 6/1-15, tied with Wade Boggs (7/15-8/1/83) for the longest suchstreak in Red Sox history.Posted a .500 batting average (26-for-52) with 4 homers, 13 RBI and 17 runs scored over 13 games from6/10-24...Hit safely in 12 of those 13 tilts, including 9 multi-hit efforts.Recorded 1st career walk-off hit on 6/20, a 2-out RBI single in the 9th inning vs. LAD...Became just the 3rdSox player ever to record a walk-off hit against the Dodgers in the regular season or playoffs, joining DavidOrtiz (9th inning single on 6/11/04) and Del Gainer (14th inning single on 10/9/16, Game 2 of World Series).Set a career high and matched the Red Sox record with 3 home runs on 6/24 at COL...Became the 20th Soxplayer (25th time) with 3 homers in a game, the 1st since Kevin Millar, 7/23/04 vs. NYY...Was the 2nd Red Soxsecond baseman to do it, joining Bobby Doerr, 6/8/50 vs. St. Louis Browns.Also singled and doubled in the 6/24 game for 3rd career 5-hit effort, 1st since 8/12/08 vs. TEX, and a careerhigh15 total bases, the most by a Sox player since John Valentin on 6/2/95 vs. SEA (15)...No other MajorLeaguer had tallied 15 total bases in a game since St. Louis' Albert Pujols on 7/20/04 at CHI (15)...Was his 2ndcareer game with 4 extra-base hits, also 7/2/08 at TB.Fractured left foot on 6/25 at SF when he fouled a ball off the foot in the top of the 3rd inning...Landed onthe DL the next day.Named to 3rd straight All-Star team and attended the 7/13 exhibition at Angel Stadium, but was unable toparticipate due to injury...Selected via the Player Ballot, a vote of the players, managers and coaches.Played in 2 rehab games with Triple-A Pawtucket from 8/14-15 before being activated from the DL on 8/17...Appeared in 2 games from 8/17-18 before returning to the DL on 8/20 (retro to 8/19) and remained sidelinedfor the duration of the season...Underwent season-ending surgery on the navicular bone of his left foot on9/3...A screw was inserted to promote healing of the fracture that occurred on 6/25 in SF...The procedure wasperformed by Dr. George Theodore and Dr. Tom Gill at Massachusetts General Hospital. Named to the All-Star Team and led the AL in runs(115) for the 2nd straight season...Paced the Red Sox ingames played (154) and doubles (48) and finished 2nd instolen bases (20)...Also finished among the AL's top 10 in doubles (T-3rd, 48), at-bats(T-9th, 626) and hits (T-9th, 185)...Was the hardest player in the Majorsto strike out, fanning once every 15.87 plate appearances, thebest mark by a Red Sox batter since Wade Boggs (19.29) in 1992...Set career high with 74 walks, passing previous high of 50 donein 2008...Became the 1st Red Sox player to hold the outright AL lead in runsin back-to-back seasons since Dom DiMaggio did it from 1950-51...Wade Boggs led the league in 1988 but tied for the top spot in 1989...Reached 40 doubles on 8/24, joining Jody Reed (1990-91) as theonly Red Sox second baseman to record 40, 2-baggers in 2 seasonswith the club...Notched his 100th career double 4/17 vs. BAL...Recorded 3 or more hits in a game 20 times, tied for 3rd in the AL...Led the team with 3 games of 4+ hits...Matched career high with 20 stolen bases, 4th among AL second basemen...Joined Amby McConnell (1908-09) as the only Red Sox second basemen ever to post 20 or more steals in multiple seasons...Was successfulon 20 of 28 attempts...Belted 15 home runs, 6th among AL second basemen...Was the 2nd straight year reaching that mark...Joined Robert Alomar (3), Ray Durham (3) Alfonso Soriano (3), Ian Kinsler (3) and Chuck Knoblauch (2) as theonly AL second basemen ever to post at least 15 homers and 20 steals in consecutive seasons...Finished 3rd among AL second basemen with a .991 fielding percentage, making just 6 errors in 663 totalchances...Hit a home run in his 1st plate appearance of the season, 4/7 vs.TB...Was the 1st reigning MVP to homer in his 1st plate appearancesince MIN's Justin Morneau in 2007...Jim Rice (1978 MVP) was thelast Red Sox batter to go deep on Opening Day following an MVPcampaign...Also homered in his last plate appearance of the year,10/4 vs. CLE...Joined Alex Rodriguez as the only players in the Majorsto homer in their 1st and last plate appearances of 2009...After 1st home run, went 190 at-bats before hitting No. 2, 5/31 atTOR...Turned in 1st career multi-homer game on 9/8 vs. BAL...Belted2nd career leadoff homer on 10/3 vs. CLE...Led the team and ranked 5th in the AL with a .365 clip in the monthof May, including a 10-game hitting streak from 5/17-27...Hit .303 with 65 runs scored in the 1st half before posting a .287average and 50 runs after the Midsummer Classic...Earned 2nd career All-Star selection, winning the starting job with3,404,384 fan votes to beat out TEX's Ian Kinsler (3,331,298)...Withdrewfrom the 7/14 game at Busch Stadium in STL due to a familyhealth matter...Hit .316 over his final 25 contests, including a season-high, 16-game hit streak from 9/7-24...Was the 2nd-longest stretch of his careerbehind a 17-gamer in 2008. Led the majors with 54 doubles, tied Ichiro Suzuki for first with 213 hits and was 2ndwith 118 runs and 61 multi-hit games, both A.L. highs...Had the A.L. 's 2nd-highest average at.326, 2 points behind Minnesota's Joe Mauer, and also ranked among the league leaders in at-bats(3rd, 653), sac flies (T3rd, 9), singles (T3rd, 140), total bases (4th, 322), extra-base hits (7th, 73), andgames (T9th, 157)...Topped the Sox in average, games, at-bats, runs, hits, and doubles, was 2nd inon-base percentage (.376), slugging (.493), and steals (20-tied), and placed 3rd in RBI (83). LEADER OF THE PACK: Was the first player to top the majors in hits and doubles in the same seasonsince the Yankees' Don Mattingly in 1986...Became the first Red Sox to lead the majors in hitssince Wade Boggs (240) in 1985...Was Boston's first A.L. doubles leader since Nomar Garicaparra(56) in 2002 and the first A.L. runs leader since Boggs (113) in 1989. DOUBLES AND HITS: Was the 3rd Red Sox player ever with 200 hits and 50 doubles in one season,joining Tris Speaker (222 hits/53 doubles) in 1912 and Wade Boggs (205 hits/51 doubles) in 1989...Is one of 36 players (45 times) in major league history to accomplish the feat...His 54 doubles werethe 2nd most ever for an A.L. 2B to 60 for Detroit's Charlie Gehringer in 1936...Were the 3rd most2-baggers ever by a Red Sox: Earl Webb (67) in 1931 and Garciaparra (56) in 2002...His 213 hitstied for 4th highest in club history. SECOND TO NONE: Became the 9th major league 2nd baseman to record 200 hits, 50 doubles, and100 runs in a season...Was just the 5th 2nd baseman with 200 hits, 50 doubles, 100 runs, and 15homers, joining Charlie Gehringer in 1936; Craig Biggio in 1998; Jose Vidro in 2000; and AlfonsoSoriano in 2002...Established Red Sox records by a 2nd baseman for runs, hits, doubles, total bases,and extra-base hits, and had the most multi-hit games since 1956...Also had the highest battingaverage ever for a Sox 2nd sacker at .326,just ahead of Bobby Doerr (.325) in 1944...Is thefirst Sox 2nd baseman ever to reach 15 homersand 15 stolen bases in a season. BATTING BREAKDOWN: His .326 average was thehighest by a Red Sox righthanded batter sinceManny Ramirez (.349) in 2002...The 2nd-placefinish in A.L. batting race was the best for a RedSox since Bill Mueller and Manny Ramirez placed1-2 in 2003...Hit safely in 121 of 157 games...Ledthe majors with 23 games of 3+ hits and 7 gameswith 4+ hits, the latter being the most by a RedSox since Boggs (8) in 1986. Opened the year with a .250 (11-for-44) averagein his first 11 games through April 11...Had a 14-game hitting streak from April 12-25 at .407 (24-for-59)...Hit .213 (37-for-174) in his next 43 games and was at.260 through June 13...Beginning June 14, batted .375 (141-for-376) with 37 doubles, 13 homers, and 54 RBI in final 89 games,the top average in the majors in that span...Had a .401 (119-for-297) clip in the first 68 games of that period, reaching .333on September 3...Hit .278 (22-for-79) in his final 21 games.Had a career-high 17-game hitting streak from June 22-July 9and hit safely in 10 straight games from July 29-August 10...Tied a career best with 5 hits, August 12 vs. Texas, becomingthe first Red Sox player ever with 5 runs and 5 hits in the samegame...Reached base safely in 11 straight plate appearanceswith 9 hits and 2 walks, August 29-31. HOME OR AWAY : Had the A.L's 4th-best home average at .344(110-320)...His .309 (103-333) road average was 7th highest inthe league...Hit safely in 29 consecutive road games, May 31-August 11, matching the 2nd longest streak in club history...TrisSpeaker had road streaks of 32 games in 1912 and 29 games in1913...Was the 2nd longest ever for a big league 2nd basemanto 33 games for Cleveland's Johnny Temple in 1960 (4)-61 (29). POWER AND PRODUCTION: Ranked 3rd among A.L. 2nd basemenwith 17 homers behind Chicago's Alexei Ramirez (21) andTexas' Ian Kinsler (18)...Matched the most homers for a RedSox 2nd baseman in the last 43 years with Mike Andrews (1970)and Mark Bellhorn (2004)...Hit his first career grand slam, August27 at New York...Was the 17th Red Sox grand slam at YankeeStadium and the 2nd by a 2nd baseman joining Bill Regan(1928)...Did not go deep in his final 21 games.Topped A.L. 2nd basemen with 83 RBI, the 2nd most by a RedSox since 1996 to 85 for Todd Walker in 2003...Drove in 28 runsover a 26-game span, August 5-September 3...Tied career bestwith 5 RBI on September 2 vs. Baltimore. STOLEN BASES: Was successful on 95.2 percent (20-of-21) of hisstolen base attempts, the best in team history among playerswith at least 20 tries and tied with Philadelphia's Jason Werthfor the best ratio among qualifying major leaguers...Had a pairof steals on both August 29 & 31...Became one of 13 players inRed Sox history (21 times) to record 15 homers and 15 steals ina season, the first since Johnny Damon in 2004. WITH THE GLOVE: Finished 2008 with a .992 fielding percentage,2nd among qualifying major league 2nd basemen behindonly Oakland's Mark Ellis (.993), the 3rd-highest ever bya Red Sox 2nd basemen, trailing Mark Loretta (.994 in 2006)and Bobby Doerr (.993 in 1948)...Made just 6 errors in 733 totalchances, tied with Doerr (1948) for the fewest ever by a Red Sox 2nd baseman with at least 700total chances in a season...Committed one miscue over his final 91 games, including a span of 61consecutive errorless contests from June 12-August 24, 12 shy of Doerr's club record of 73 games(1948)...Ranked among A.L. leaders at his position in starts (1st, 155), games (2nd), assists (3rd,448), total chances (4th), double plays (4th, 101) and putouts (5th, 279). BY THE NUMBERS: Was 2nd in the A.L. with a .331(162-for-490) average against righties...Hit .307(50-for-163) with runners in scoring position andwas 8-for-16 with the bases loaded...Had a .462(36-for-78) interleague average...His 124 hits atthe All-Star break were one shy of the team record...In 4 starts in the cleanup spot was 11-for-17with 2 homers and 7 RBI...Fanned once every 13.96plate appearances, the 3rd best ratio in the A.L. MISCELLANEOUS: Was ejected on August 19 atBaltimore by Bob Davidson...Ended a no-hit bidfor John Lackey of the Angels with one-out singlein the 9th inning, July 29 at Fenway Park. SUMMARY: Enjoyed one of the finest seasons by aRed Sox rookie in the last 50 years in winning consensusAmerican League Rookie of the Year honors...Led all big league rookies with a .317 battingaverage, 10th best overall in the A.L. and a majorleague record for a rookie 2nd baseman...Placed2nd on the Red Sox in runs (86) and doubles (39),ranked 3rd in average and hits (165), and 4th inon-base percentage (.381)...Started 132 games at2nd base, the most for a Boston rookie at that positionin 40 years...Had surgery for fractured hamatebone in left wrist in November 2007. HONORS: Won the Jackie Robinson Award as theA.L. Rookie of the Year, as selected by the BaseballWriters Association of America...Received 24of the 28 1st place votes in balloting conductedby two writers from each of the 14 American League cities...Also received 4 2nd place votes and132 total points and was the only player named on all 28 ballots...Was the 6th Red Sox playerto be named as the A.L. 's top rookie by the BBWAA, 1st since Nomar Garciaparra in 1997, andis just the 4th A.L. player to win the award while playing the majority of his games at 2nd base,joining Minnesota's Rod Carew in 1967, Detroit's Lou Whitaker in 1978, and Minnesota's ChuckKnoblauch in 1991. Was also named as the A.L. 's top rookie by The Sporting News and Players' Choice Awards, bothby vote of the league's players...Selected as the Red Sox Rookie of the Year by the Boston BBWAAchapter...Was named as the 2nd baseman on Topps Major League Rookie All-Star Team. ROOKIE RANKINGS: Established a major league record for highest batting average by a qualifyingrookie 2nd baseman (.3173), surpassing the .3171 for Pittsburgh's Jim Viox in 1913...In addition tohis rookie batting crown, led all major league rookies in doubles (39) was 2nd in on-base percentage(.380), and multi-hit games (49), and 3rd in runs (86), and hits (165)...Also finished 2nd amongA.L. rookies in total bases (230) and walks (47) and was 3rd in extra base hits (48)...His battingaverage was the 7th highest ever by a Red Sox qualifying rookie...Had the 4th most doubles by aBoston 1st year player...Had the highest batting average and on-base percentage for a Sox rookiesince Fred Lynn in 1975 and the most runs and doubles since Nomar Garciaparra in 1997. BATTING: Had the best batting average for a Red Sox 2nd baseman since Billy Goodman (.354) in1950...After going 5-for-10 in the season's 1st 3 games, hit just .104 (5-48) over next 15 conteststo drop to .172 on May 1...That included a 1-for-28 drought over 11 games, April 6-20...Had a.330 (159-482) average over his final 125 games...Batted .461 (35-76) in the 1st 23 games of thatstretch to reach a season best .336 on June 3...Was selected as the American League's May Rookieof the Month after leading rookies in average (.415), doubles (6), and on-base percentage (.472)in 21 games...Earned A.L. Player of the Week honors for May 28-June 3 with a .609 average.Was 5-for-27 (.185) in next 8 games anddropped to .311 through June 14...Hit.348 (24-69) over next 17 games beforea 5-for-26 lull put him at .309 on July15...Batted .326 (86-264) in his final 63games. Hit safely in 14 straight games from May19-June 4, the longest batting streak for an A.L.rookie in 2007 andthe longest by a Boston rookiesince Garciaparra's club rookierecord 30-gamer in 1997.ON THE 5's: Produced 5 hits and5 RBI on June 15 vs. San Francisco...Was just the 4th Sox rookiesince 1957 with a 5-hit game,joining Fred Lynn (June 18, 1975vs. DET), Dave Stapleton (Sept.16, 1980 vs. CLE), and Brian Daubach(Aug. 14, 1999 vs. SEA)...Was the 1st Boston rookie with5 RBI since Daubach, Aug. 13,1999 against Seattle...Becamethe 1st Red Sox 2B with at least5 hits since Jerry Remy, Sept. 3,1981 vs. Seattle (6). BY THE NUMBERS: Had 4 hits on August 31 against Baltimore and 3 hits on 12 occasions...Ranked5th in the A.L. with a .351 (93-265) average at home, the highest Fenway Park figure for a Bostonrookie since Fred Lynn (.365) in 1975...Batted .348 (57-164) versus lefthanders, 3rd in the A.L. andtops by a Boston rookie in the last 33 years...Was 5-for-12 (.417) with the bases loaded...Started29 games in the leadoff spot, 2nd most on the club, and batted .328 (40-122) in that spot. FIELDING: Had a .990 (6 E/625 TC) fielding percentage in 137 games at 2nd base, the 4th best figureamong A.L. qualifiers...Went 48 games without a miscue, April 13-June 17 and committed just oneerror from April 13-August 11, a span of 90 games...His 132 starts were the 3rd most ever at 2ndbase for a Boston rookie behind Chuck Schilling (157) in 1961 and Mike Andrews (135) in 1967. POSTSEASON: Had a .283 (17-60) batting average with 2 homers and 10 RBI while starting all 14playoff games at 2nd base...Tied for 2nd on the club with 6 doubles and scored 12 runs, matchingDerek Jeter (1996) for the most ever for a rookie in a post-season...Had 5th most playoff hits everfor a rookie...Hit just .160 (4-25) in Boston's 1st 6 post-season contests before batting safely in thenext 7 at .419 (13-31)...Was 0-for-4 in Game 4 of the World Series...Handled 53 chances withoutan error at 2nd base. After going 2-for-13 (.154) in the 3-game ALDS sweep of Los Angeles, batted .345 (10-29) in theALCS against Cleveland...Scored 8 runs, most ever for a rookie in the ALCS...Was 3-for-5 with ahomer off Rafael Betancourt and 5 RBI in Game 7...Became the 1st rookie to ever homer in Game 7of the ALCS and set a rookie LCS mark for RBI in one game...Produced a .278 (5-18) average with 4RBI in the World Series sweep of Colorado...Homered to lead off Red Sox 1st in Game 1 at FenwayPark, joining Baltimore's Don Buford in 1969 as the only players to hit a lead off blast in a WorldSeries opener...Was the 18th overall WS leadoff homer,1st ever for a rookie...Had 3 hits and 2 RBI in Game 3 atColorado. SUMMARY: Made his big league debut August 22 atAngel Stadium and remained with the Red Sox forthe rest of the season after having his contract purchasedfrom Triple-A Pawtucket, where he began andspent his campaign through August 21...was a postseasonInternational League All-Star after batting.305 with 30 doubles, 3 triples, 5 homers and 50 RBI in111 games for Pawtucket...ranked 3rd in the IL witha .384 on-base percentage and tied for 4th in battingaverage...his .305 mark was best among all Red Soxfarmhands...became the first member of Boston's 2004 Draft class to reach the majors...with theRed Sox, batted .191 with 4 doubles, 2 homers and 7 RBI in 31 games...struck out only 7 times in98 plate appearances. WITH PAWTUCKET: A non-roster invitee to Red Sox spring training, Pedroia was sidelined fornearly all of March and into April with a left shoulder strain suffered in Boston's first springgame March 2 at Minnesota...was assigned to Triple-A and made his 2006 Pawtucket debut onApril 17...carried a .255 batting average with 7 doubles, one homer and 10 RBI into June beforebatting .330 (93-for-282) with 23 doubles, 4 homers and 40 RBI in his final 73 Triple-A contests...overall with Pawtucket, walked 48 times and only struck out 27 times, an average of less thanone strikeout every 4 games...saw action primarily at shortstop and second base with a handfulof games at third base...was named the organization's Defensive Player of the Month in June andthe Offensive Player of the Month in July when he batted .363 with 7 doubles, 2 homers and 19RBI in 28 games...struck out only 6 times in 102 at-bats. HIT PARADE: Had a hit in 8 straight at-bats during part of 3 games from August 14-16 with thePawSox...he singled in his final at-bat on August 14, went 3-for-3 on August 15 and singled in hisfirst 4 at-bats August 16. WITH BOSTON: Recorded his first major league hit in his 2nd big league at-bat, a single up themiddle in the 4th inning off Los Angeles' Joe Saunders August 22 at Angel Stadium...started atshortstop and hit 9th that night...hit his first major league home run, a solo shot off Kansas City'sLuke Hudson, and had his first multi-hit game September 9 at Fenway...followed up with his 2ndbig league homer September 23, a home run to lead off the game at Toronto...had a 5-game hittingstreak from September 16-20, batting .500 (6-for-12) during the run...saw action in 27 games(19 starts) at second base and in 6 games (5 starts) at shortstop. SUMMARY: In his first full pro season, was named Red Sox Minor League Offensive Player of the Year and earned a spot on the Double-A Eastern League's post-season All-Star team...advanced to Triple-A Pawtucket from Double-A Portland on June 22 after batting .324 with a .409 on-base percentage, 19 doubles, 8 homers, 40 RBI and 35 runs in 66 games for the Sea Dogs...battled a wrist injury while playing for the PawSox, batting .255 with 9 doubles, 5 homers, 24 RBI and a .356 on-base percentage in 51 games...played a total of 97 games at second base and 16 games at shortstop, committing only 7 errors. WITH PORTLAND: The second baseman on the Eastern League's post-season All-Star team, Pedroia ranked 4th in the league in on-base percentage and 5th in batting average at the time of his promotion to the PawSox...was crowned the organization's Minor League Base Runner of the Month for April after legging out 7 doubles and scoring 12 runs in 18 games...took home the Sox' Minor League Quality Plate Appearance Award for the month of June, batting .318 (34-for-107) with 17 walks and only 10 strikeouts in 29 games between Portland (23 games) and Pawtucket (6 games)...batted .319 or better with more walks than strikeouts in all 3 of his months with the Sea Dogs. WITH PAWTUCKET: Led the PawSox during the month of August with 26 runs scored and was 2nd with 5 home runs and 33 hits after recovering from being hit with a pitch on his right wrist in just his 6th Triple-A game June 27 at Richmond...missed 8 games with the injury from June 28-July 5 and was shelved for another 14 contests from July 18-30 after the wrist had not sufficiently healed...batted just .222 (10-for-45) in his 10 July games...hit .326 (14-for-43) against left-handed pitching. Advanced to high Single-A Sarasota from Single-A Greenville after being selected with the Red Sox' first pick (2nd round) in the First-Year Player Draft...hit safely in 36 of his 42 games with 19 walks and only 7 strikeouts between the 2 stops...hit safely in 11 of his 12 contests with the Bombers, batting .400 (20-for-50) with 5 doubles and 11 runs scored to earn an August 2 promotion to Sarasota...went on to hit .336 (36-for-107) with 8 doubles, 3 triples, 2 homers, 14 RBI and 23 runs scored in 30 games for the SaraSox...played for the Scottsdale Scorpions of the Arizona Fall League at the conclusion of the season, batting .278 with a .375 on-base percentage and 13 runs scored in 16 games. 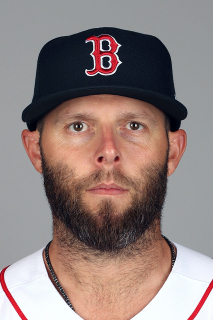 April 19, 2019 Boston Red Sox placed 2B Dustin Pedroia on the 10-day injured list retroactive to April 18, 2019. Left knee discomfort. April 9, 2019 Boston Red Sox activated 2B Dustin Pedroia from the 10-day injured list. April 4, 2019 Boston Red Sox sent 2B Dustin Pedroia on a rehab assignment to Greenville Drive. March 27, 2019 Boston Red Sox placed 2B Dustin Pedroia on the 10-day injured list. Left knee rehab. November 1, 2018 Boston Red Sox activated 2B Dustin Pedroia from the 60-day injured list. August 4, 2018 Boston Red Sox transferred 2B Dustin Pedroia from the 10-day disabled list to the 60-day disabled list. Left knee inflammation. June 2, 2018 Boston Red Sox placed 2B Dustin Pedroia on the 10-day disabled list retroactive to May 30, 2018. Left knee inflammation. May 25, 2018 Boston Red Sox activated 2B Dustin Pedroia from the 10-day disabled list. May 14, 2018 Boston Red Sox sent 2B Dustin Pedroia on a rehab assignment to Pawtucket Red Sox. September 1, 2017 Boston Red Sox activated 2B Dustin Pedroia from the 10-day disabled list. August 12, 2017 Boston Red Sox placed 2B Dustin Pedroia on the 10-day disabled list retroactive to August 9, 2017. Left knee inflammation. August 8, 2017 Boston Red Sox activated 2B Dustin Pedroia from the 10-day disabled list. August 1, 2017 Boston Red Sox placed 2B Dustin Pedroia on the 10-day disabled list retroactive to July 29, 2017. Left knee inflammation. June 9, 2017 Boston Red Sox activated 2B Dustin Pedroia from the 10-day disabled list. May 30, 2017 Boston Red Sox placed 2B Dustin Pedroia on the 10-day disabled list. Left wrist sprain. September 8, 2015 Boston Red Sox activated 2B Dustin Pedroia from the 15-day disabled list. July 17, 2015 Boston Red Sox activated 2B Dustin Pedroia from the 15-day disabled list. June 25, 2015 Boston Red Sox placed 2B Dustin Pedroia on the 15-day disabled list. Strained right hamstring. July 19, 2012 Boston Red Sox activated 2B Dustin Pedroia from the 15-day disabled list. July 6, 2012 Boston Red Sox placed 2B Dustin Pedroia on the 15-day disabled list retroactive to July 4, 2012. Sprained right thumb. October 13, 2010 Boston Red Sox activated 2B Dustin Pedroia from the 15-day disabled list. August 20, 2010 Boston Red Sox placed 2B Dustin Pedroia on the 15-day disabled list. Soreness in left foot. August 17, 2010 Boston Red Sox activated 2B Dustin Pedroia from the 15-day disabled list. August 14, 2010 sent 2B Dustin Pedroia on a rehab assignment to Pawtucket Red Sox. June 26, 2010 2B Dustin Pedroia assigned to Boston Red Sox.